Evinrude E-TEC is the lowest maintenance outboard available. It has no break-in period, no valves, belts, camshafts or pulleys to replace, and requires no oil changes, ever! Plus, the Evinrude. E-TEC is the only outboard engine that goes 3 years or 300 hours (G2 500 Hrs. or 5 Years) with a five year non-declining limited domestic warranty and no dealer scheduled maintenance. No comparable four stroke can match the power-speed or torque of the E-TEC. *Incredible fuel efficiency with instant start mode. Acoustically tuned air intake and exhaust systems provide whisper quiet operation. NASA developed piston material. E-TEC’S Ultra-Low emissions rating is best in the industry, including four strokes. ENJOY THE SMOOTH, QUIET, CLEAN, *FUEL EFFICIENT PERFORMANCE OF E-TEC TECHNOLOGY. For more information on new boats and outboard motors please contact us. Evinrude’s all new outboard engine that produces up to 75 percent fewer total regulated emissions, with 15 percent better fuel efficiency and 20 percent more torque than leading four-stroke engines. G2 engines, the next generation of Evinrude E-TEC outboard engines. ***With a 5/5/5 warranty – five-year engine warranty, five-year corrosion warranty and 500 hours no dealer-scheduled maintenance. The Most Comprehensive Warranty in The Industry .. 30% More Fuel Efficiency & 75% Lower Emissions. The Evinrude E-TEC G2 outboard is said to have the best-in-class torque, fuel efficiency, and total emissions. Available this fall at BRP dealers in ranges starting at 200 H.O. to 300 R.A.V.E., the new E-TEC G2 engine offers the first and only customizable look and the only clean rigging and fully integrated digital controls. These innovations will allow consumers to choose the color-coordinated combination of boat and engine by selecting top and front panels, as well as accent colors that match their boat. This engine stands alone, in the industry and on the water. Until now, achieving these levels of performance and integration was unheard of. Add to this the fact that this engine produces, by far, the fewest emissions of any outboard engine on the water, and it’s clear to see why the new Evinrude E-TEC G2 engines will change the face of boating. To complete the whole package Evinrude even created two propellers specifically for the G2. This is pretty big considering the company has never made a prop that is designed to match the performance the engine is putting out. The RX4 (four blade) and Raker H.O. (three blade) are offered to match any boating situation. Both props are made with Variable Vent Ports to tune hole-shot and acceleration with the twist of a wrench. #1- UP TO 44% LESS FUEL THAN WITH OLDER TECHNOLOGY ENGINES. An Evinrude E-TEC’s engine management computer makes over 8 million calculations per second to ensure you get the precise amount of fuel you need at any given RPM. Not a droplet more. You’ll use up to 44% less fuel not to mention 50% less oil than your older technology engine. Obviously, that means less cost at the pump. But it also means more fishing spots per tank, longer cruises per tank, going further without carrying extra fuel and fewer trips to the dock to refill. In other words: MORE TIME ON THE WATER. #2- WHY SIT AT HOME WHEN YOU COULD BE ON THE WATER? Evinrude E-TEC is the only outboard engine that requires no dealer-scheduled maintenance for 3 years or 300 hundred hours. No tune-ups. No 20-hour check. No oil changes. So while the other guys are home waiting for the dealership to call, you’ll be right where you belong: OUT ON THE WATER. #3- SAVE UP TO $1,790 A YEAR IN FUEL AND MAINTENANCE. That old carbureted 90-hp-2-stroke engine you’re currently using will cost you almost $8,200 in fuel, oil and maintenance over the next 3 years or 300 hours of use. You’ll save almost $5,400 over that same period by simply re-powering with a new 90-hp Evinrude E-TEC maybe, even more, depending on your particular situation. #4- NO HASSLE. JUST MORE TIME ON THE WATER. Only Evinrude E-TEC offers dependable, trouble-free operation with a 3-year non-declining warranty. Plus, you don’t have to worry about the cost and hassle of tune-ups or oil changes for the first 3 years or 300 hours. And when the day does come to get your Evinrude E-TEC serviced, our vast dealers network has you covered no matter where you go. #5- FIRST TIME. EVERY TIME. Unlike many outboard engines, an Evinrude E-TEC’s starting is handled by an outboard computer. No choking. No carburetor to flood. No worries. Just get aboard, turn the key and go. Whether the engine has been sitting for 5 minutes or 5 months. Because nothing should stand between you and your time on the water. #6- 50% QUIETER. FEEL FREE TO TROLL OR CHAT. An Evinrude E-TEC produces a comfortable, confident sound that’s easy on the ears and up to 50% quieter than any other 2-stroke outboard. Evinrude E-TEC outboards are even as quiet as or quieter than best-in-class 4-strokes. Looking for quieter cruises in the pontoon? A day of all out fun with family and friends? All day trolling where stealth is key? Sounds like you need the quiet power of an Evinrude E-TEC. #7- THE CLEANEST OUTBOARD IN THE WORLD. Evinrude E-TEC outboards have the lowest reportable emissions of any outboard brand, even the 4-stroke models. These engines are CLEAN, GREEN, and 100% EPD compliant, even with the tighter regulations for 2010. In fact, Evinrude E-TEC is the only outboard engine to have been awarded the EPA Clean Air Excellence award. Your old boat will breathe new life, free of smoke and fumes. And the environment will breathe a sigh of relief, too. #8- HIGH TORQUE = HIGH POSSIBILITIES. A power stroke for every revolution (that’s twice as many as any 4-stroke) combined with our advanced fuel injection and combustion system gives Evinrude E-TEC the quickest throttle response in the industry. When you say jump, we jump. Out of the hole and across the entire power curve. Not just at select points. That means you’re quickly up and out of the water for a drier ride. That means not having to leave anyone on the dock. That means that if you’re at one spot and you want to get to another, zoooom, you’re there. it’s as if your boat discovered the fountain of youth. #9- UP TO 300+ POUNDS LIGHTER. With a lighter Evinrude E-TEC, your boat will simply perform better. For starters, there’s less stress on the transom. In fact, many older boats weren’t designed to carry the weight of today’s heavier 4-strokes, which can throw off their balance and cause porpoising at lower cruising speeds. Not to mention making it difficult to get them on plane. Less weight also translates to more capacity for gear and people, more power to get on plane quickly with less how rise, and, of course, increased fuel efficiency. #10- MORE OF THE ONLY THING THAT MATTERS. You and your boat belong on the water. That’s why you bought it, right? Don’t let the high cost and maintenance of running your old outboard stand in your way. Enjoy the no hassles, no break-in period and no dealer-scheduled maintenance for 3 years or 300 hours of an Evinrude E-TEC. Experience the peace of mind that comes with an engine so reliable we back it with a three-year non-declining warranty. And most of all, enjoy the only thing that matters: MORE TIME ON THE WATER. These new outboard motors come with a Five Year Non-declining Limited Domestic Warranty and no scheduled maintenance for three years or 300 hours. No comparable four-stroke can match the power-speed or torque of the E-TEC. Incredible fuel efficiency with instant start mode. Acoustically tuned air intake and exhaust systems provide whisper quiet operation. NASA developed piston material. E-TEC’S Ultra-Low emissions rating is best in the industry, including four strokes. Evinrude E-TEC is the lowest maintenance outboard available. It has no break-in period, no valves, belts, camshafts or pulleys to replace, and requires no oil changes, ever! Plus, the Evinrude E-TEC is the only outboard engine that goes 3 years or 300 hours with no dealer scheduled maintenance. This Promotion Includes a: 8-year factory non-declining warranty with a new E-TEC G1 or G2 purchase OR a 5-year factory non-declining warranty AND FREE controls with purchase of 75hp and up. Worldwide & National Shipping Available! Evinrude, Johnson, Mercury, Yamaha, Honda, and Suzuki. These motors are checked out and serviced with new thermostats installed. The lower units are pressure tested with a new water pump and lube added. HONDA FOUR STROKE OUTBOARD MOTORS FROM 2 – 225 HORSEPOWER. New Motor includes a FIVE-year non-declining limited factory warranty. HONDA introduced the first four-stroke outboard engine more than forty years ago. Back then they were ahead of their time. Today they are still ahead, leading the way in engineering innovations and precision manufacturing. 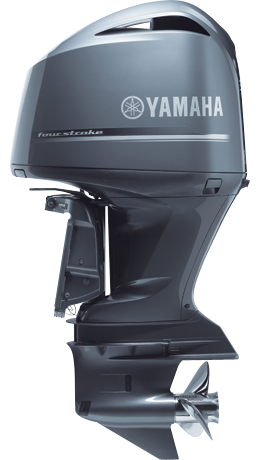 Please check out our new and used outboard motors online.